For once, we do not cross a parking lot or a hotel but unfortunately a shopping mall to Schönhauser Allee 80 who, we shall see it later, limits a little the effect of this rooftop. Let us go to the 5th floor by means of the elevator (easy to find). At the entrance, without understanding well why, the young woman asks us 2€ for our 2 entrances. Everybody pays without knowing if it constitutes an entrance fee or a trumpet. As soon as a place seems free, she lets us enter. 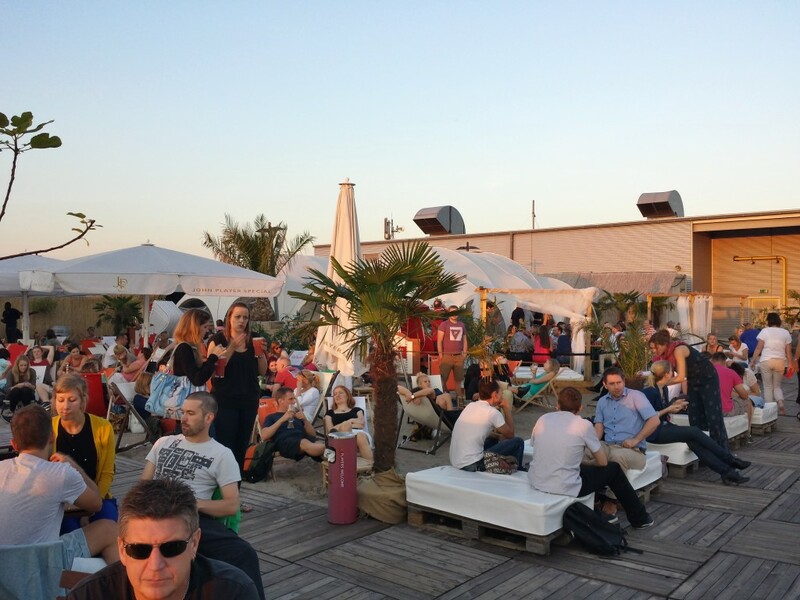 The general atmosphere is relaxed: sand on the ground (appropriate to the “standbars” of Berlin), deckchairs, white four-poster beds (attention, the depiction is not cheap typify Saint Tropez or other overrated place) and a beautiful buddha. 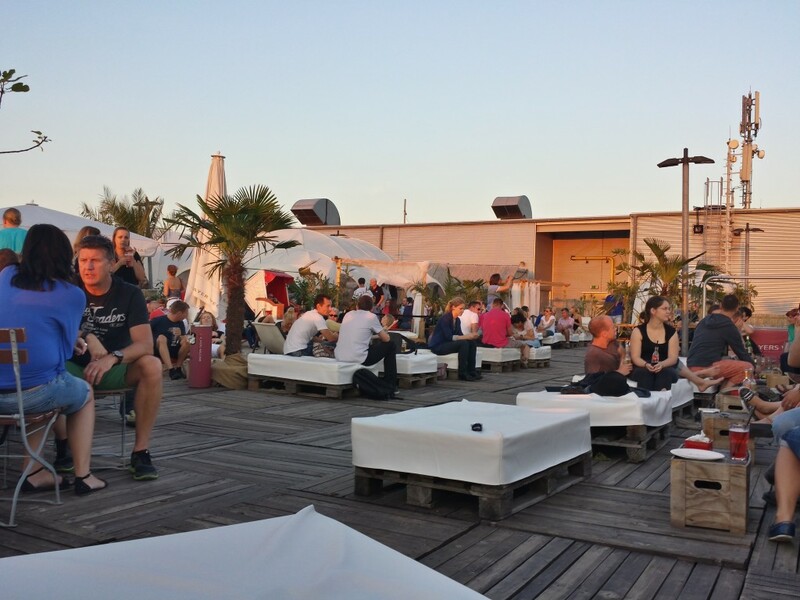 Small background music but not electro music as we often hear in Berlin, the atmosphere is Zen and there is many space. Cocktails 7,5euros, wine, beers. Nothing exceptional but there is choice there. A pizza can accompany your drink, but here also, nothing exceptional. 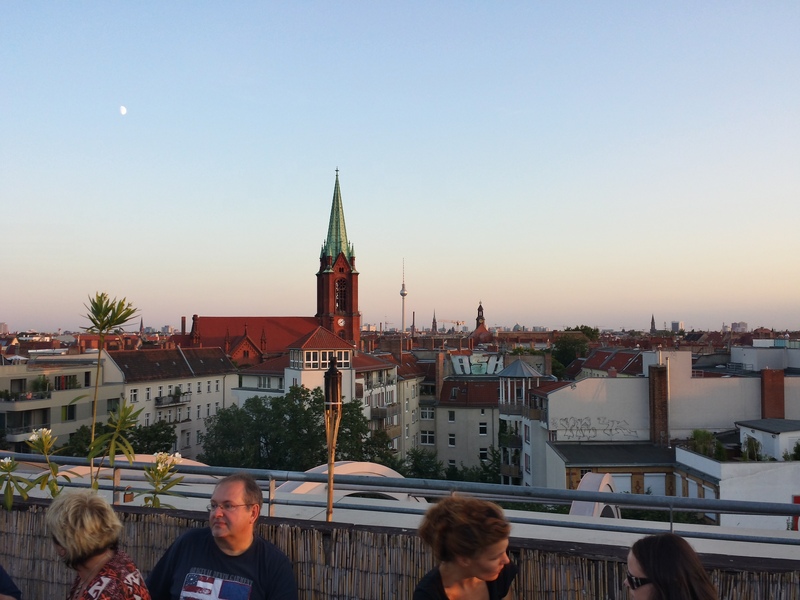 A wide view of Berlin is offered to you and, with a little luck, a beautiful sunset. By going out, we feel relaxed and aware to have spent a pleasant moment but personally the fact of going back by the shopping mall break at once this feeling. 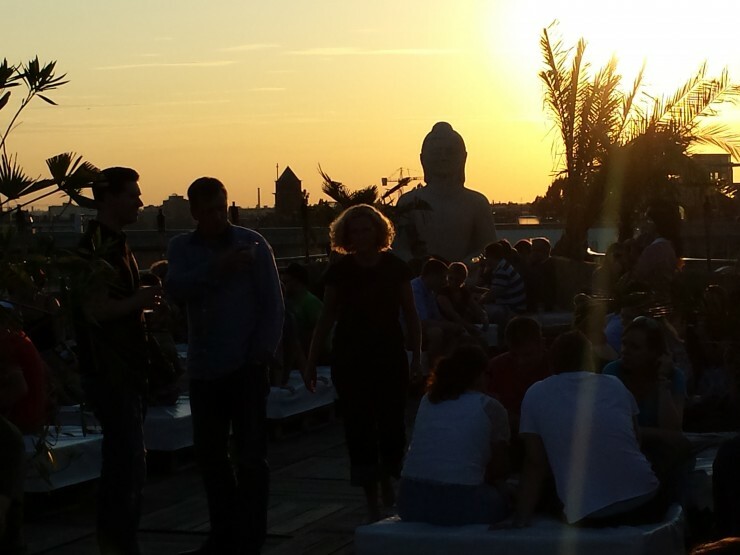 We really realize the gap with the Zen atmosphere of the rooftop and the atmosphere of a capital hyper activates. Ultimately, a really pleasant moment in a little piece of heaven.